Companies are taking longer than necessary to figure out how to use QR codes–so what should they be doing with them, anyway? I have to admit, I’ve never been curious enough to try them: those mobile-phone barcodes that look like square inkblots. They call to you from the corners of newspaper advertisements, packaging, and signs hanging in conference halls. They invite you to aim your mobile phone and take a picture in exchange for some kind of vague promise of digital content. The next time I’m standing around with nothing to do, no email to send, no one to call, I’m going to try out a QR code. But since I worry that day will never come, I took up a chance to talk to a guru on the topic. Laura Marriott has spent 15 years at the leading edge of mobile technology. She was employee number one of the Mobile Marketing Association (MMA), sits on boards of several mobile technology firms, and is the CEO of NeoMedia Technologies, a QR code pioneer. Laura had just returned from judging some of the best mobile marketing campaigns of the last year at the Cannes Lions International Festival of Creativity event recently held in France, and I got a chance to ask her about QR codes. Here are my key takeaways from a short list of embarrassingly naïve questions. Why are QR codes square? Traditional barcodes are one-dimensional (read as a string of dashes), while QR codes are two-dimensional (read horizontally and vertically). This allows them to transfer more information. While a traditional barcode can give you one line of data (e.g., a domain name), QR codes can give you two lines of data (e.g., a domain AND an index code). It gives you or your brand manager a lot more flexibility. If one month you want to send people to your Fourth of July promotion and the next your “heat of summer event,” you don’t need to reprint your QR codes; you just change what the index points to. You can change the content daily if you want. 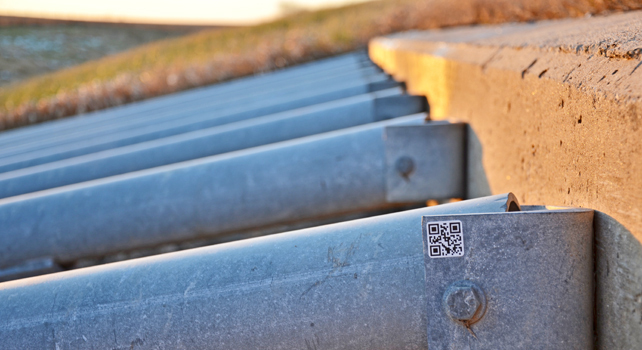 An additional benefit: since QR codes read four points rather than two, they survive more wear and tear. What do companies use them for? Companies don’t yet fully understand what they can do with QR codes. They slap them onto packaging to get people to visit their mobile website. We are now starting to see them use them for “calls to action,” like “scan here to subscribe and get a special discount!” Those calls to action dramatically increase response rates. But as with any emerging technology, companies are taking longer than necessary to figure out how to use QR codes, which brings us to the next obvious question. What should companies be using them for? QR codes are starting to be used more cleverly, as a way to sort of increase the real-estate on packaging. You scan and can immediately pull up compatibility requirements, specs, instructions, etc. This means you don’t have to waste precious packaging space on boring text. We’re seeing scans pull up video demonstrations and live product comparisons. As we approach a world in which we can assume everyone has a camera-enabled smart phone, we could see the entire experience of a product’s packaging transform into a matrix-like blend of real and virtual. Should you be using QR codes? Marriott surprised me by her response to this. I thought she would be a shameless QR code advocate. “It depends,” she says. “First you want to think about your objectives and then think about whether marketing and media help you achieve those objectives.” If your target customers are not tech savvy or do not have mobile phones, QR codes will not help much. “You need to understand who you are targeting,” Marriott advises. QR codes have the potential to dramatically transform how your customers experience and interact with your products. But history shows us reaching that potential will take time. It will require a process of incremental shifts across three inter-dependent agents: technology, companies, and customers. This is the process that made our adoption of the DVR, CD, and fax machine. Getting off my flight to L.A. as I wrote this, for example, I walked past a huge advertisement with a QR code. I thought about stopping to scan it and see what happens, but it was midnight, and I had a half-hour drive ahead of me, so I just walked by. The good news for you, the outthinker, is that that the wave, while slow, is clearly happening and this creates an opportunity to leap ahead of your competition if you jump on it before they do.